1, Wiping in ISO Class 6(1000) cleanroom. 2, Maintaining the equipments in the cleanroom. 3, Controling and absorbing the water and solvent in the cheanroom. 4, Bio-pharmacy, automatic instruments, computer accessory manufacturing. 5, Optic and lens manufacturing, encapsulation and testing. 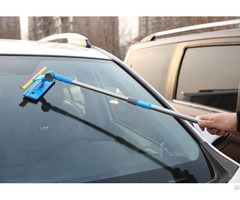 Posted By: Suzhou ORDER Cleanroom Material Co.,Ltd. 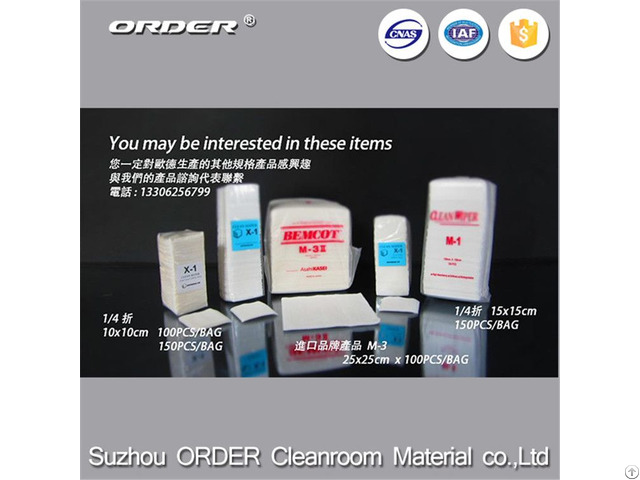 Business Description: Suzhou Order Cleanroom Material Co., Ltd. Located at Kunshan city ,50kilometers away from Shanghai railway station,Established in 2006. Occupied 8000 square meters.We pass GB/T14001-2008/ISO9001:2008,and our main products owns SGS certificate.